Atri Bliss Garia Kolkata Housing Project of Somani Realtors – Those who are looking for Flats / Properties nearby Garia beside E.M. Bypass are advised to pay their visit to Atri Bliss Housing Project of Somani Realtors in South Kolkata. Phone contact number of Atri Bliss Kolkata Project of Somani Realtors is 98300-31914 / 98300-33281. Su Casa Wood Narendrapur Kolkata Housing Project of Somani Realtors – Those who are looking for Flats / Properties nearby Narendrapur beside E.M. Bypass are advised to pay their visit to Su Casa Wood Housing Project of Somani Realtors in South Kolkata. Phone contact number of Su Casa Wood Kolkata Project of Somani Realtors is 98300-58363 / 98300-92080. City Garden Taratala Kolkata Housing Project of Somani Realtors – Those who are looking for Flats / Properties nearby Taratala at Jinjhira Bazaar are advised to pay their visit to City Garden Housing Project of Somani Realtors in South Kolkata. Phone contact number of City Garden Kolkata Project of Somani Realtors is 98300-18504 / 98300-21235. Vishnu Regency Bansdroni Kolkata Housing Project of Somani Realtors – Those who are looking for Flats / Properties nearby Bansdroni are advised to pay their visit to Vishnu Regency Housing Project of Somani Realtors in South Kolkata. Phone contact number of Vishnu Regency Bansdroni, Kolkata Project of Somani Realtors is 98300-21235 / 98300-18504. VIP Udichi Madhyamgram Kolkata Housing Project of Somani Realtors – Those who are looking for Flats / Properties nearby Madhyamgram or Barasat are advised to pay their visit to VIP Udichi Housing Project of Somani Realtors in North Kolkata. Phone contact number of VIP Udichi Kolkata Project of Somani Realtors is 98300-33406 / 98300-05310. 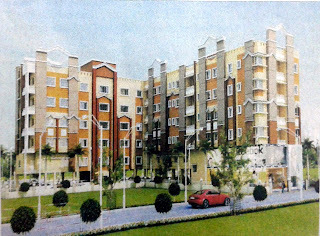 BSM Enclave Bangur Kolkata Housing Project of Somani Realtors – Those who are looking for Flats / Properties nearby Bangur on Jessore Road are advised to pay their visit to BSM Enclave Housing Project of Somani Realtors in North Kolkata. Phone contact number of BSM Enclave Kolkata Project of Somani Realtors is 98300-14474 / 98300-46850. Twin Tower Teghoria Kolkata Housing Project of Somani Realtors – Those who are looking for Flats / Properties nearby Teghoria near Lokenath Mandir are advised to pay their visit to Twin Tower Housing Project of Somani Realtors in North Kolkata. Phone contact number of Twin Tower Kolkata Project of Somani Realtors is 98300-11267 / 98300-13890. Jamuna Point VIP Road Kolkata Housing Project of Somani Realtors – Those who are looking for Flats / Properties nearby VIP Road near to Haldiram Bus Stoppage are advised to pay their visit to Jamuna Point Housing Project of Somani Realtors in North Kolkata. Phone contact number of Jamuna Point Kolkata Project of Somani Realtors is 98300-36684 / 98300-85419. People seeking flats / home nearby the above mentioned areas of Kolkata are requested to contact Somani Realtors Real Estate Company as soon as possible. Phone numbers for further details of any housing projects of Somani Realtors in Kolkata has been mentioned above. People may also check details online at www.somanirealtors.com website and may email at sales@somanirealtors.com with their queries regarding flats & housing projects.